Dog owners are responsible for ensuring they keep their pets under control at all times. If they are visiting the school we require owners to keep them on a short leash and to be vigilant around our children, their safety is our priority. 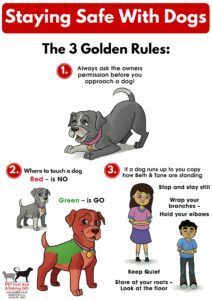 Not all children know how to behave around dogs, they may be scared or shy, or over-confident. 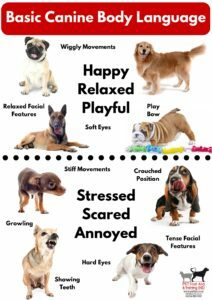 The team at Dog Safe Workplace have shared the 3 Golden Rules on how to behave around dogs and some tips with us on recognising their basic body language. Visit their website at petfirstaid for more information.